Let's get trashed! 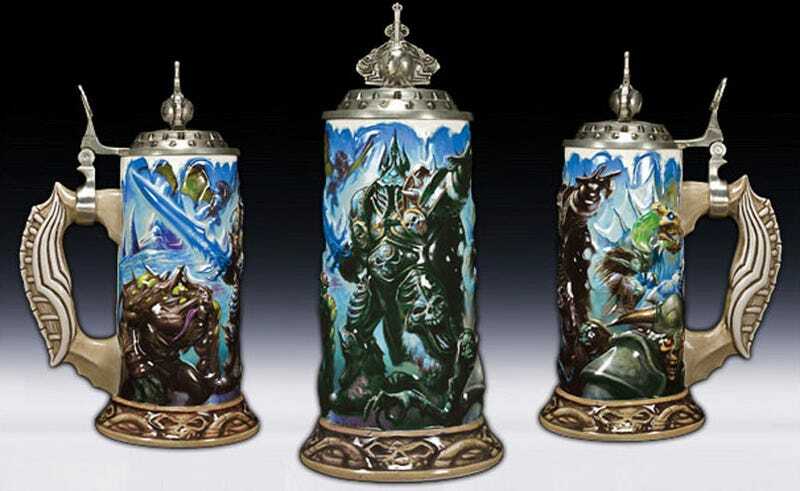 Why not, you are looking at World of Warcraft: Rise of the Lich King beer steins. The stoneware steins with sculpted pewter lids feature artwork from Italian illustrator Alex Horley. They're not cheap by any means (US$89.99), and there are even limited edition, hand signed ones as well for nearly double the price. More details in the link below. Drink them up.